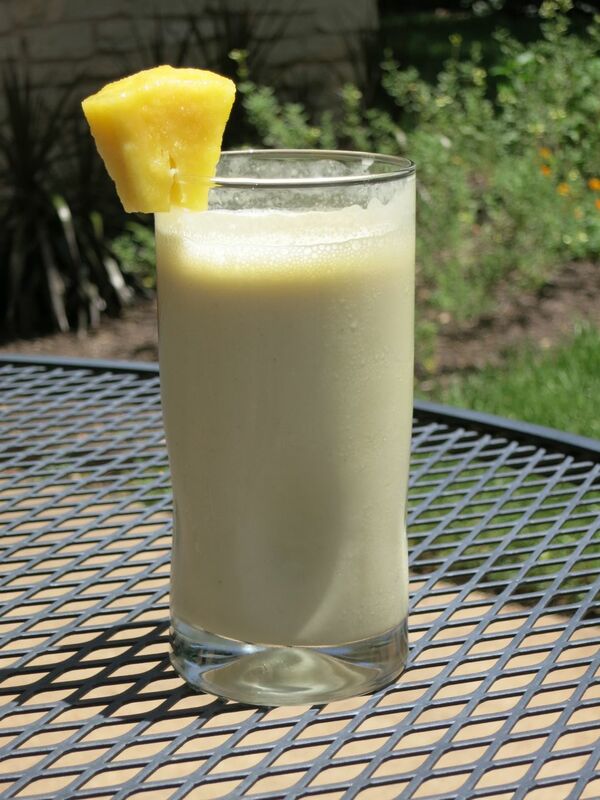 This protein-packed smoothie is a super-refreshing, cool tropical treat on hot summer days. Best of all, it’s just as healthy as it is filling. TIP: Want it a little sweeter? Try adding honey and/or using vanilla yogurt. Looking for more smoothie recipes? Click here. 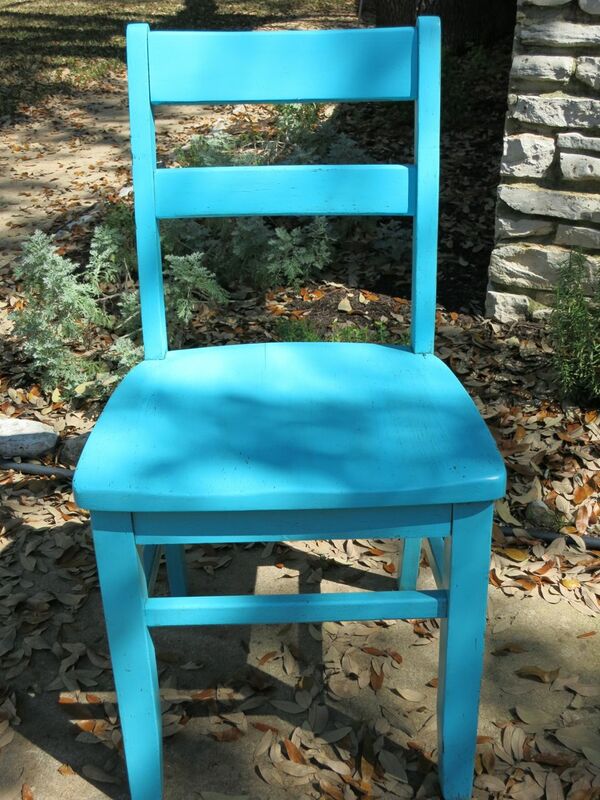 I just finished updating this sweet little schoolhouse chair as a gift for my mom. She acquired it from the university where she retired, and has been using it as a desk chair. 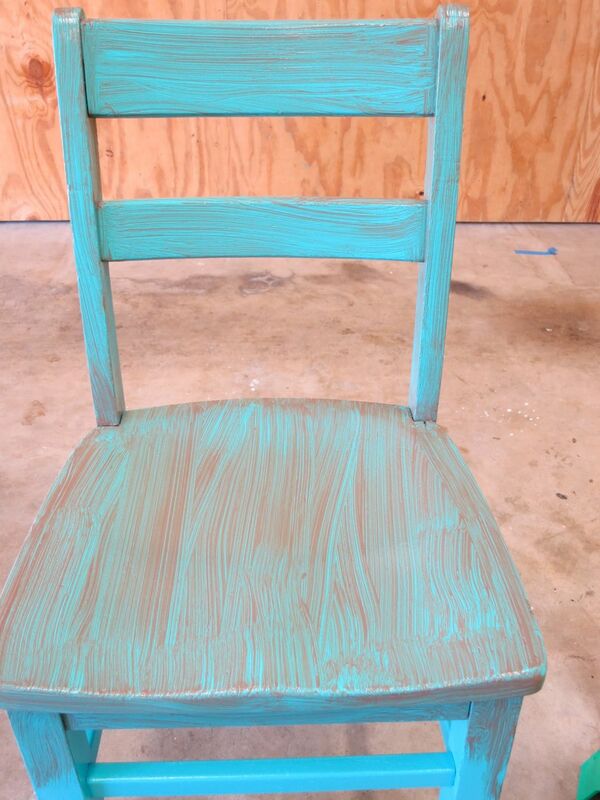 I was thrilled when she asked me to give her chair a new “do”, and told me to surprise her with the color! This chair is probably close to (or more than) 100 years old. 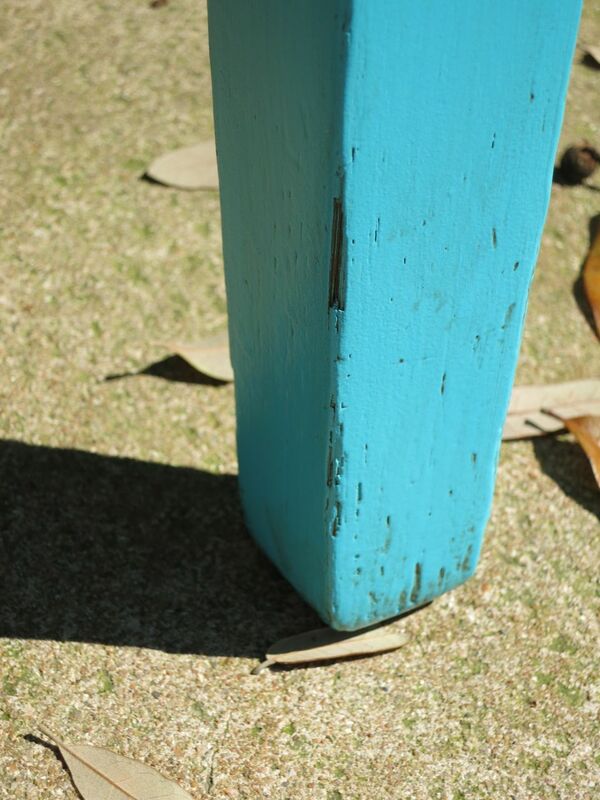 The finish was not in great condition, and the structure was a little rickety. Hubsters reinforced the chair (thanks, Honey! ), so it’s now much sturdier than it was. 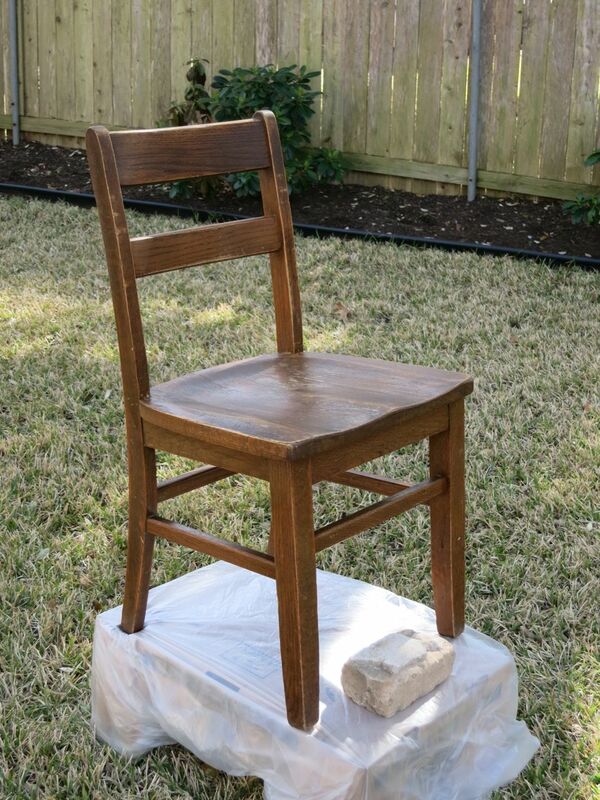 As with some of my previous furniture projects, such as this antique vanity bench, vintage hexagonal table, and little red chair, I sanded with 180 grit sandpaper to even out the surface. After sanding and cleaning, I applied Kilz oil-based spray primer. 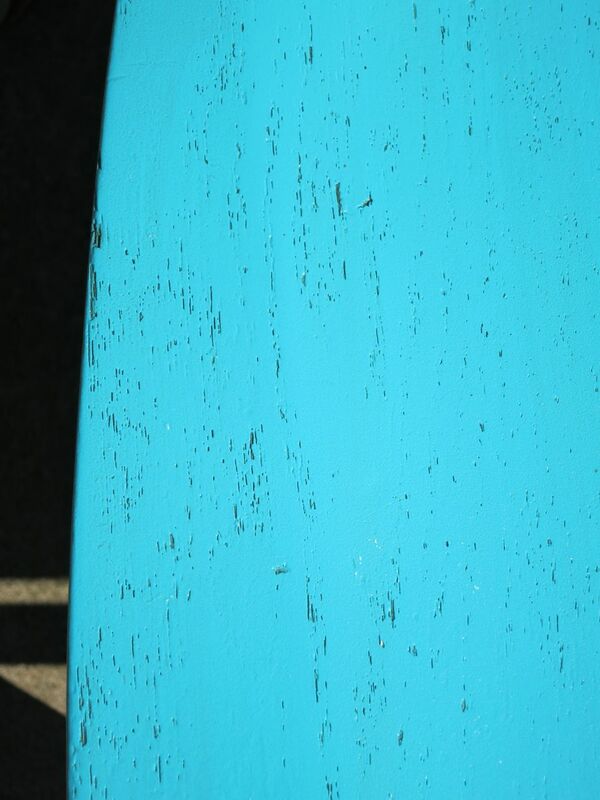 A note about using Kilz – it can be a bit gritty, especially in warmer weather. I just use a 220 grit sanding sponge to lightly smooth the surface after priming and before my first coat of paint. 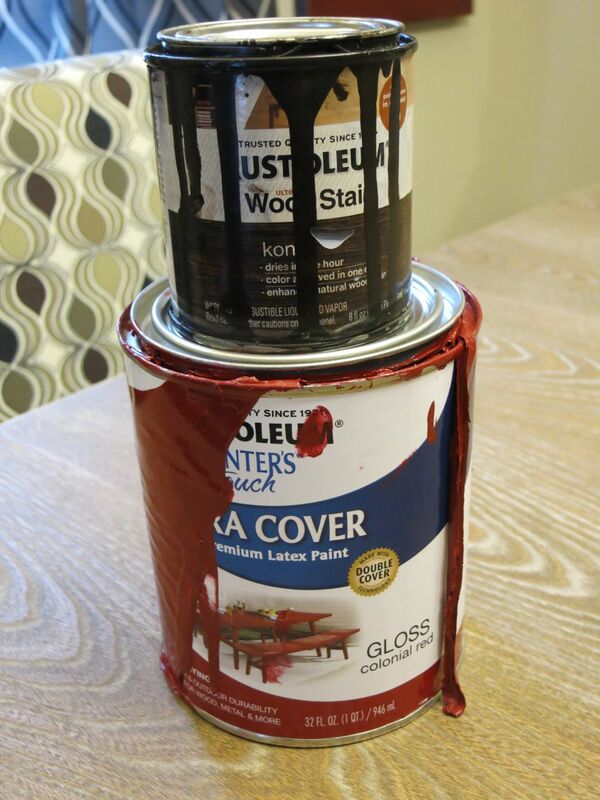 I think I’ve found a new favorite spray paint: Rustoleum Painter’s Touch. It is soooooo easy to work with, and I found that the paint did not run as much as Krylon has for me in the past. It also costs much less per can than Krylon, and provides amazing coverage. I applied three solid coats, and I only used one can of spray paint! Then I performed a clean-glazing technique with Tobacco glaze by Ralph Lauren. I began by applying some heavy glaze with inexpensive chip brushes, and then wiped it off with wet rags. I carefully worked the glaze into all of the cracks and crevices. Glazing tones down the vividness of a piece, and accentuates wood grain and blemishes, providing a distressed look with lots of character. Here are some of my favorite shots of the final result! Well, Mom, I’m delighted with this fun little makeover, and I hope you are too! I had more yukon gold potatoes than I knew what to do with after making faux veal stew (I used turkey tenderloin in place of veal). I figured it couldn’t hurt to try roasted potato slices, since I frequently roast asparagus as a side dish, and make my own fresh pasta sauce with roasted tomatoes. And my 3 year-old emphatically stated that we should have garlic potato slices for dinner every night. My friend Lori is a brilliant DIY-er and she made this amazing headboard out of wooden pallets. 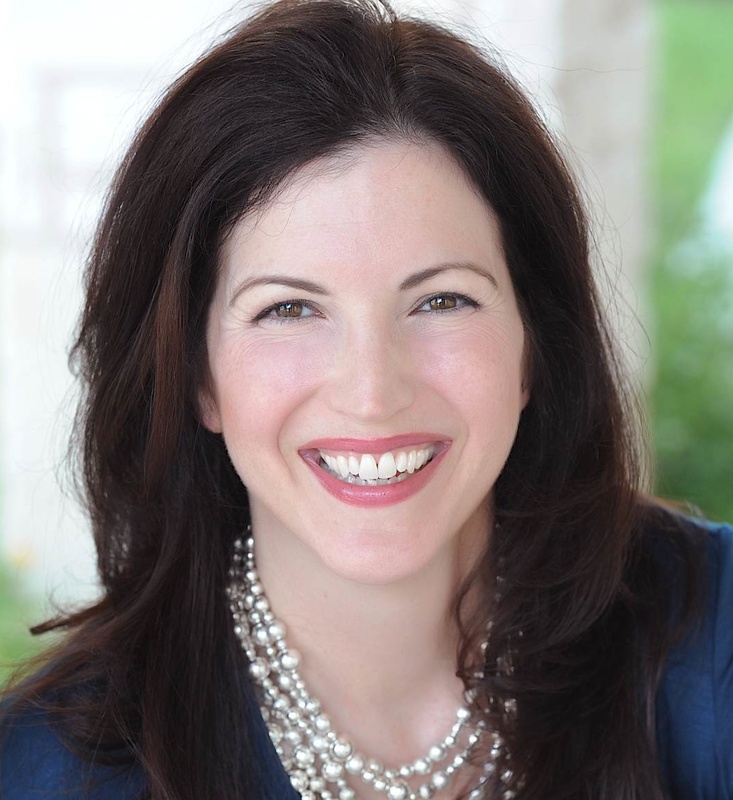 Lori agreed to let me feature her work on the blog today – just for you! There are actually two pallets here – joined together by metal brackets. Lori and her husband found them at a construction site in their neighborhood and brought them home to create something amazing! 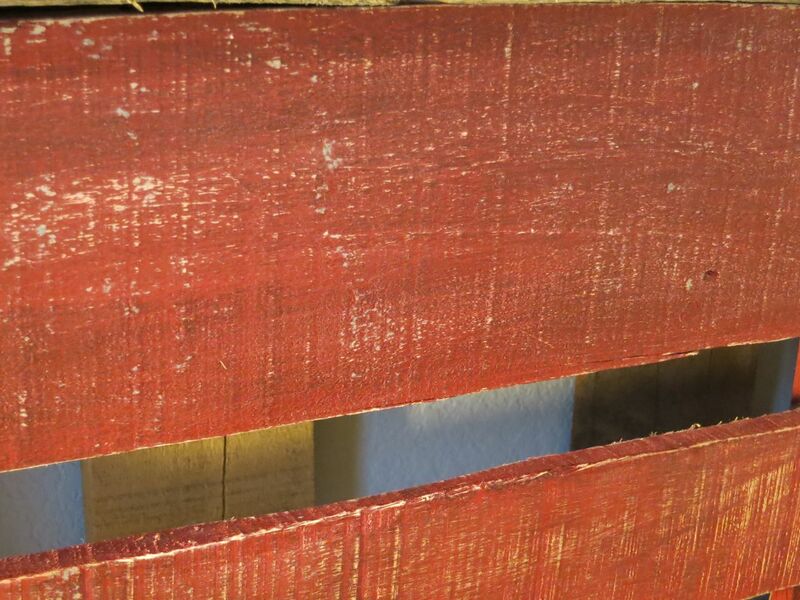 The stain was applied with a rag and then the surface was wiped down with a clean rag, which is sort of a “dry-glazing” technique, but with rags instead of brushes. 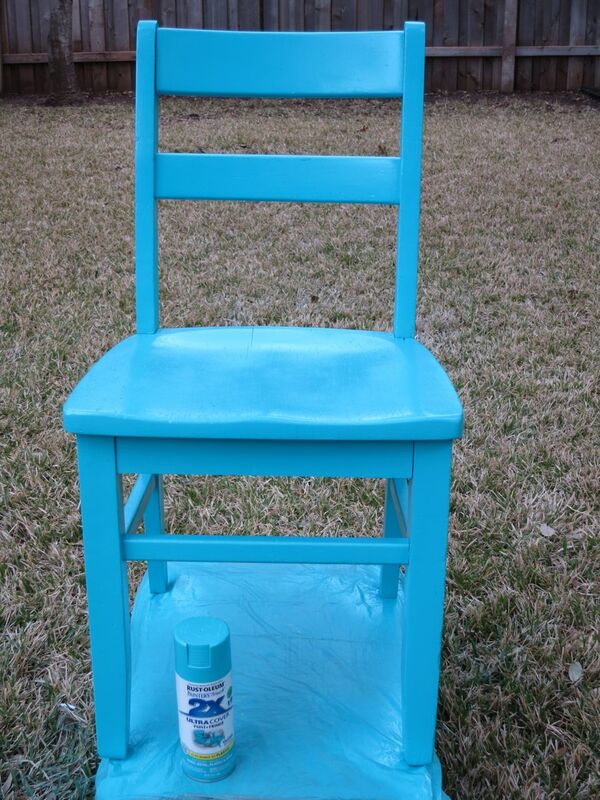 For more tips on how to glaze furniture, visit this post. 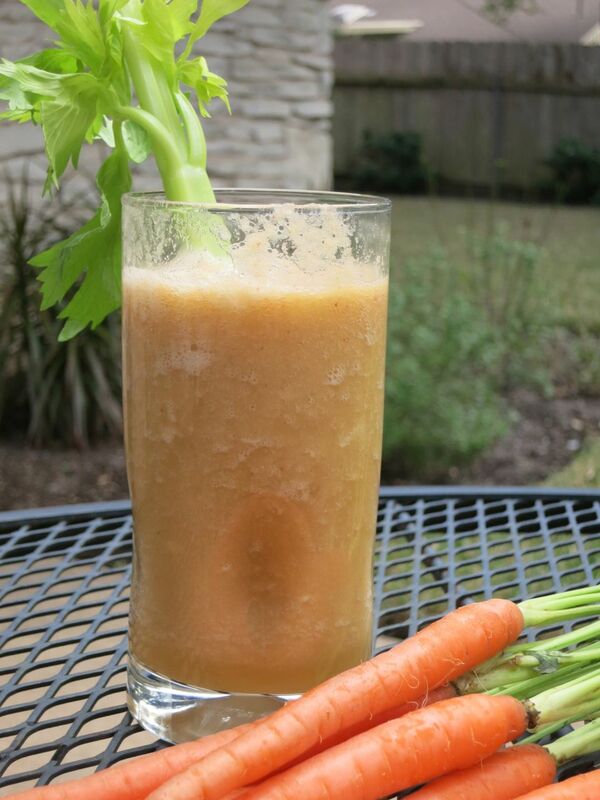 This energizing raw juice blend has loads of detoxifying health benefits and is super easy to prepare. I feel amazing for the entire day after drinking it, and find myself craving more of this refreshing cocktail. Note: Most juicers recommend drinking fresh juice at room temperature. You can make a colder version of this drink by simply adding ice (which will also thicken it up slightly). Looking for more refreshing beverage recipes? Click here. Thanks for stopping by today, and here’s to your health in the new year! 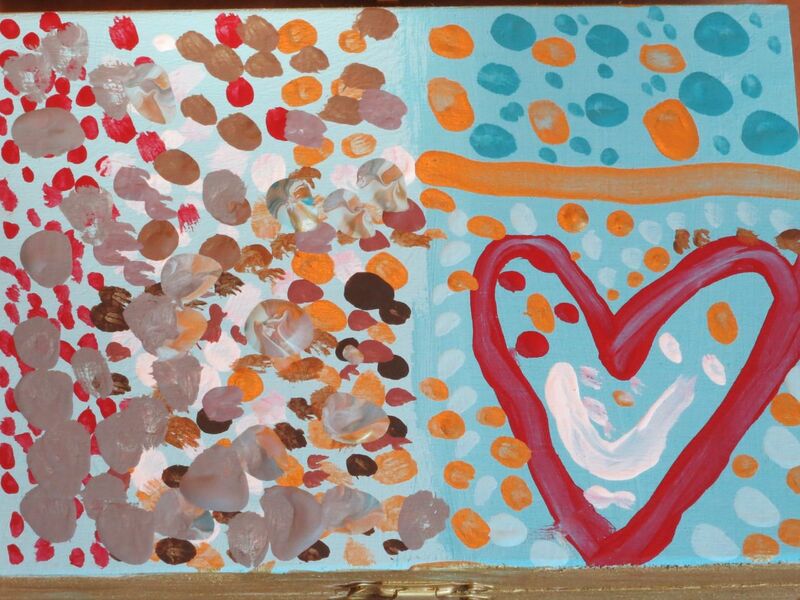 My little guy loves to paint – I wonder where he gets that from? So, we dug through my stash and found two small wooden boxes, along with some fabric scraps, and 2 oz. bottles of acrylic paint. 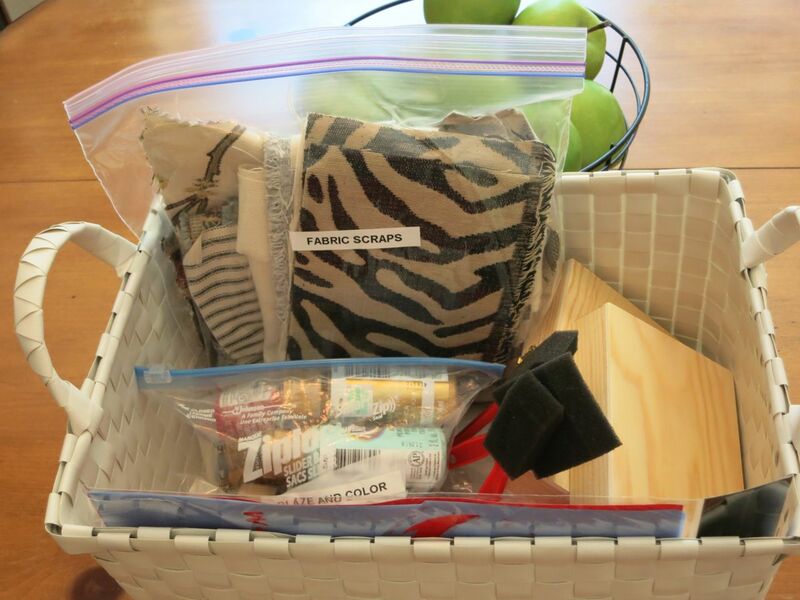 All of these supplies were purchased at craft stores – the wooden boxes were 99 cents! I’m definitely a last-minute grocery shopper that hits the store the day before Thanksgiving. I like everything to be super fresh – that’s my excuse, anyway. If you’re a last-minute shopper, too, and you need some ideas fast for delicious holiday fare, then this post is for you! Gluten-Free Almond Pear Bread – I made this (amazing) dessert bread last year after my son decided he really didn’t want to eat the two dozen fresh pears he begged me to purchase at Costco. This bread was so delicious that I ended up making several batches for friends and neighbors. I promise you can’t tell it’s gluten free. Click on the photo below or here for the full recipe. Aunt Pat’s Chicken – this dish makes the kitchen smell amazing, allows you to mingle with your guests, and is perfect for entertaining any day of the year. 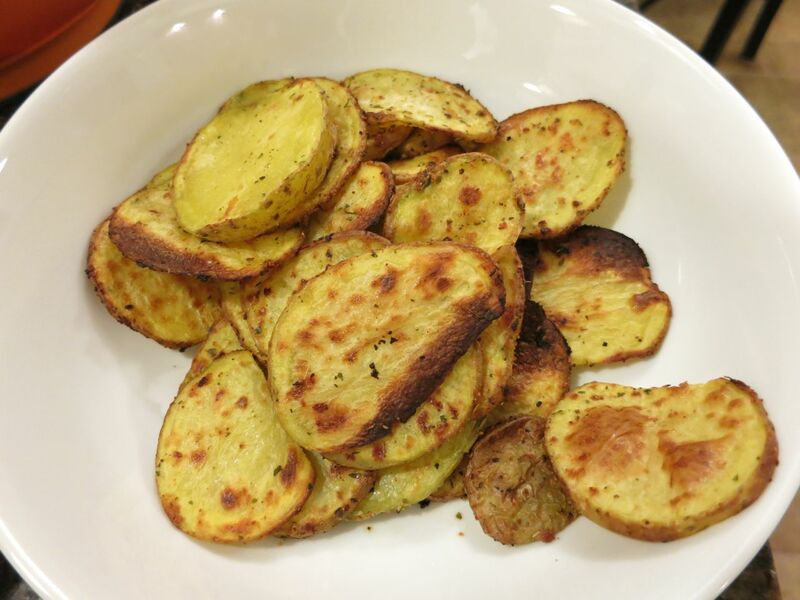 Sweet Potatoes – super fast twist on a traditional classic. Click on the photo below or here for the full recipe. Perfect Asparagus Every Time – add a little green to your holiday. Click on the photo below or here for the full recipe. The Only Salad You’ll Ever Need to Make – this salad is a big hit – every time. I’m often asked, “would you mind bringing that salad that you make?” when invited to a dinner gathering. The simple toss of a few ingredients in a light olive oil dressing will cause your guests to rave! What are some of your go-to recipes this holiday season? I read every comment and love hearing from you!